happen though! - years of honing and perfecting! That said you can always practise! I was clearing bit of space in the freezer and found a couple of bits of pastry too small to be useful on their own, but together . . . . it might just work! 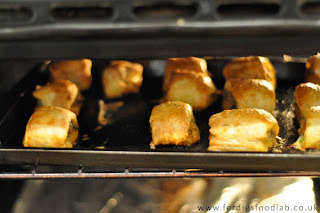 A little more hunting rewarded me with a couple of rather nice looking sausages which I put on the side immediately to defrost (whilst putting the pastry in the fridge). A quick root around the fridge found me some chives that wouldn't have lasted much longer, and a little thyme. All I needed now was an egg for shiny loveliness and I was good to go! 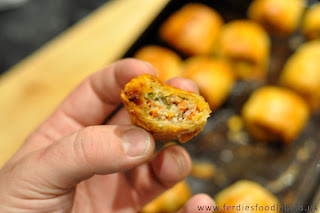 I made these sausage roles in about 10 minutes flat from spare parts! It's really just an assembly job! 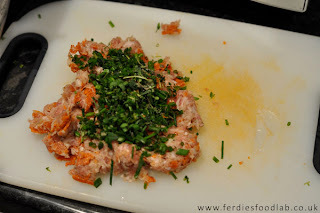 Finely chop the pepperoni, chives and thyme. Remove the casing from the sausages and add the meat to the chopped ingredients. 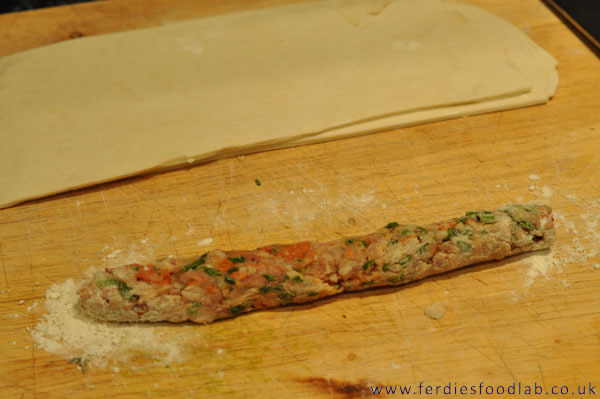 Mix them all together and using a little flour on the counter roll into a sausage shape about 1inch (2.5cm) in diameter. 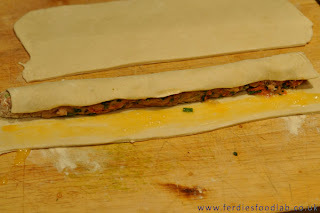 Cut in half at it's centre - one sausage for each piece of pastry! 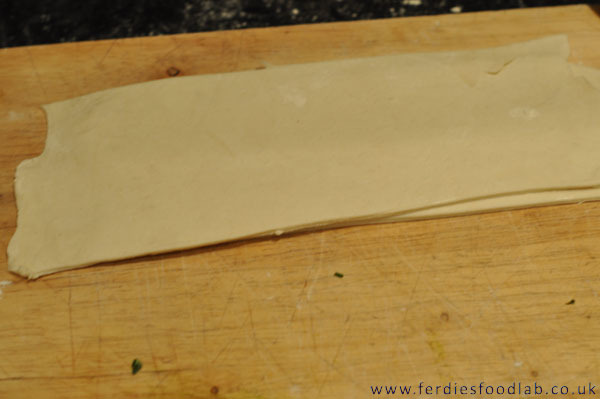 Take the pastry from the fridge and roll it out into an oblong, around 9 inches (~23cm) wide. Then cut along it's length into 2 pieces. Take one of the sausages and place it at the top of one of the lengths of pastry and roll it towards you leaving an inch wide flap, brush this with egg, and finish rolling towards you. Cut it into 6, 4cm rolls and and brush with beaten egg. Place on a greased baking tray. Repeat for the second roll. You can cut them to any size you fancy! 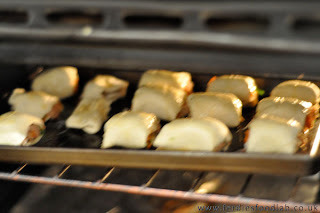 Pop them in the oven for 20mins or until golden brown! Cracking treat for all the family!! : ) Thanks Mum!